Japan’s professional baseball league was hit by a betting scandal this past fall, when a Nippon Professional Baseball investigation revealed that three pitchers on the Yomiuri Giants had bet on games. Now a fourth pitcher, reliever Kyosuke Takagi, has admitted to betting on games, as well as lying to investigators during the NPB’s initial probe. “I lied at the investigation but the probing continued and that got to me mentally. I knew the time would come and I decided to tell the truth after speaking to my wife and parents. According to the NPB investigation, none of the four pitchers bet on games they were directly involved in. In the wake of Takagi’s admission, Giants chairman Tsunekazu Momoi and supreme adviser Tsuneo Watanabe announced they would step down, and team owner Kojiro Shiraishi will also be replaced. 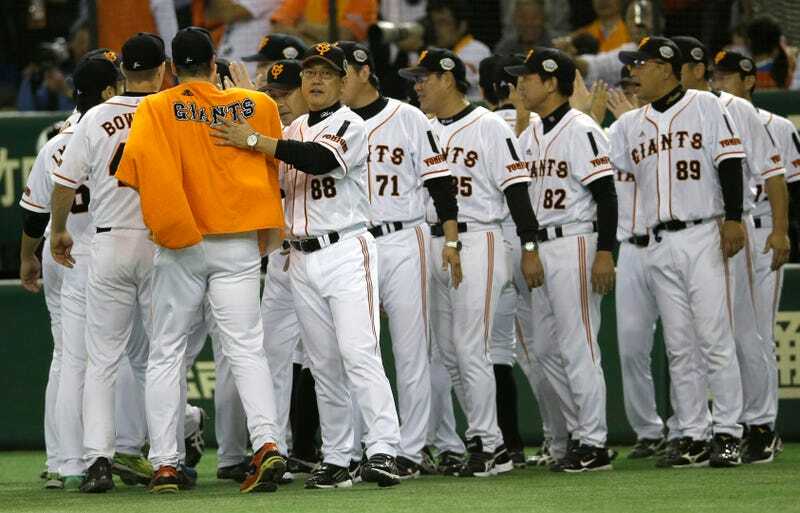 This is a pretty huge deal, given that the Giants are one of the most successful and popular teams in Japan. The American equivalent of this scandal would be if four guys in the Yankees bullpen were caught betting on games. The thought alone makes me giddy.